This is my reading friend Gilda. I asked her if she wanted to accompany me to Baldwin’s Book Barn, and not only did she want to go, she also offered to DRIVE!! For this girl who hates to drive, that was a dream come true. Coworker Meghan had told me about the book barn, and said that it was quite the destination. She was correct! 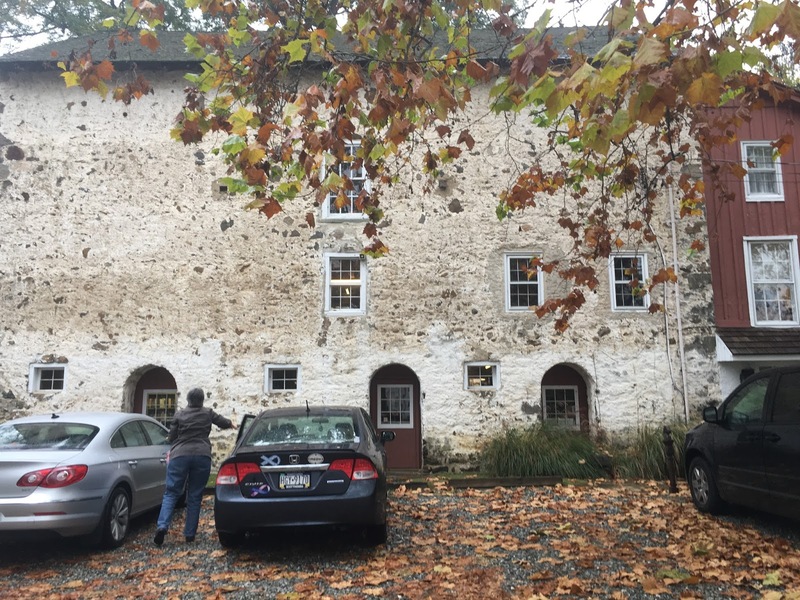 The book barn is an old converted dairy barn. It was converted to a book store in the 1940s, and floor-by-floor was transformed into the 5-level treat that it is now. It is quite well laid out, with clear maps available when you enter, as well as laminated maps at each of the stairs, and posted randomly on the ends of bookcases. There are no new books here. They have thousands of used books, maps, and prints. In the lobby you will also find antiquarian, rare, and fine books. 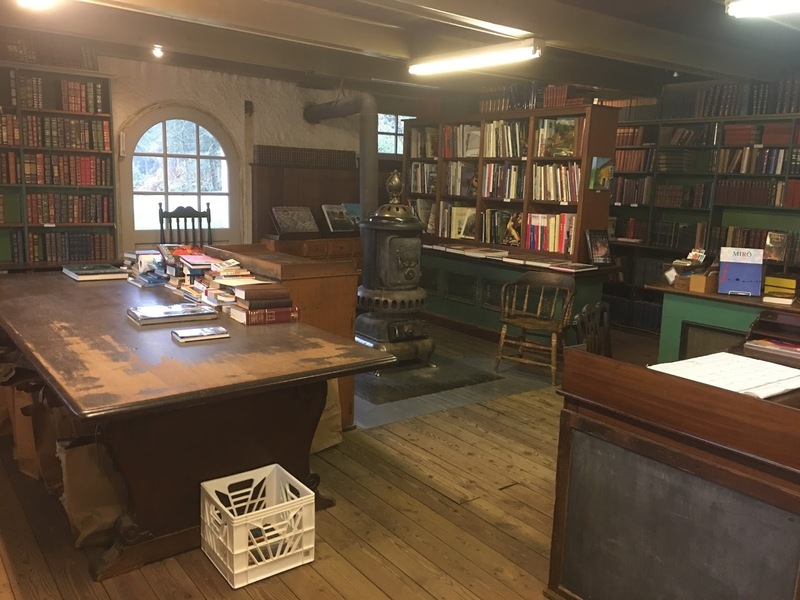 The website (link above) boasts that the barn is “stuffed to the rafters with a treasure trove of 300,000 used and rare books”, and they are correct. Reminding me of local used books emporium, Booklegger, I found myself struggling to find something to purchase. You see, old, dusty, and musty books are not really my thing. Because of the nature of the building, it is quite the visual treat, but impossible to keep a constant temperature, and book-killing moisture out of the air. However, I found a hardcover Haiku book which I bought because I simply could not leave empty handed. I do heartily recommend a visit when you are in the area, if only for the experience. Choose a cool day so you will get to feel the soothing comfort of the woodstove, and give the cat a scratch when you happen upon him heaped in a cozy corner chair. On our way back into the office, Gilda asked me if I wanted to pop into Wellington’s Books, a locally owned independent bookseller very close to Bentley’s location. YES! What incredible fun this treat of a book seller was. It reminded me quite a bit of Shop Around the Corner the movie “You’ve Got Mail”, and I had to snap a photo. 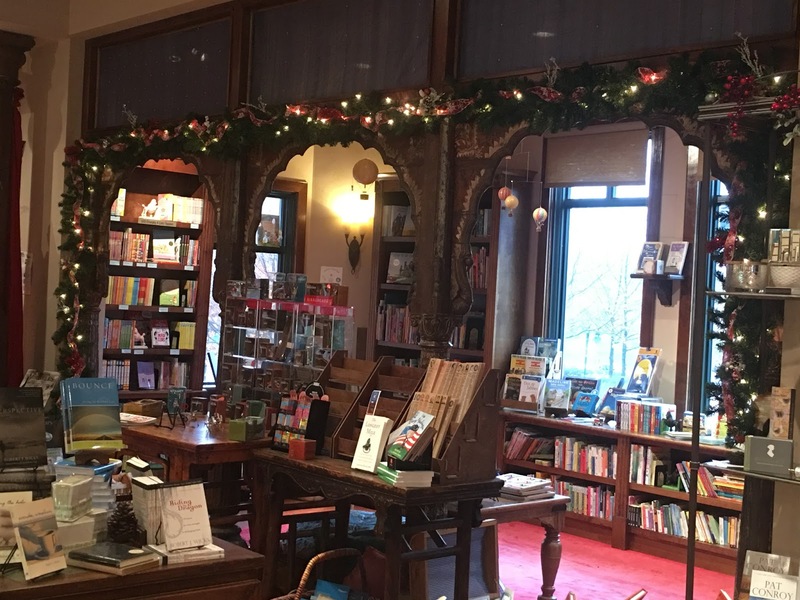 The selections were grand, prices reasonable, and had the perfect combination of books, bookish items, and gifts for the reader. All-in-all, this was a very successful afternoon for my new friend and me! Wow, that looks awesome! I live in PA so I looked up the link, but that's quite a ways away from Williamsport!!! Wish I could go there! You know, I'll bet you have something like this closer to you. Then you can take pics, post them on your blog, and a chain reaction will have started! And it is NOT an easy find. 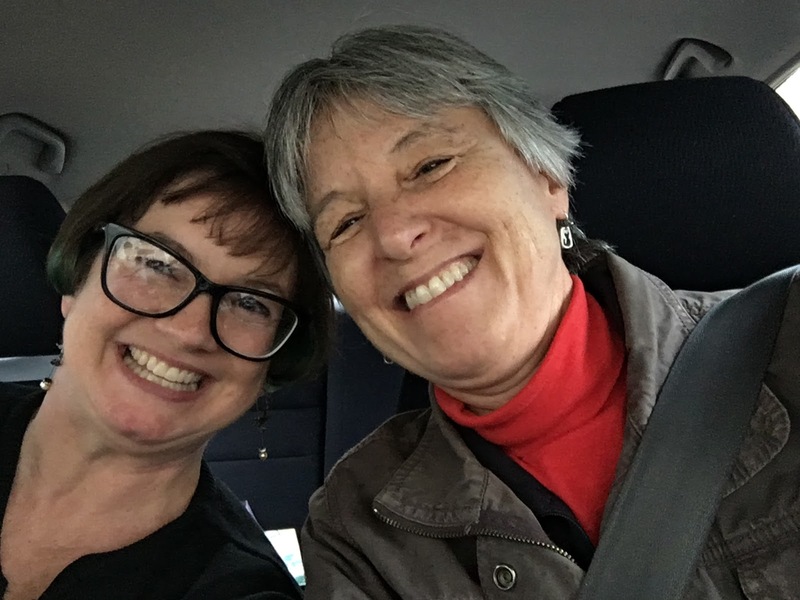 I told Gilda during the trek that I was glad she drove because if I had driven, she would have accused me of taking her to a remote place to drop her off!